It was the foresight of the Momiji founders who knew that a Community Centre attached to the residence would improve the quality of life for its senior tenants. 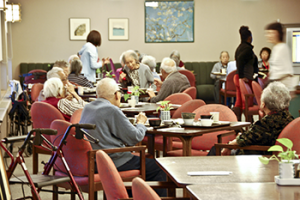 Seniors need the opportunity to socialize and maintain active bodies and active minds for the best quality of life. The $6 million construction of the Community Centre was funded by the Japanese and Canadian community in three stages: (1) to purchase the land; (2) to construct the building; and (3) to provide fixtures, furniture and landscaping. 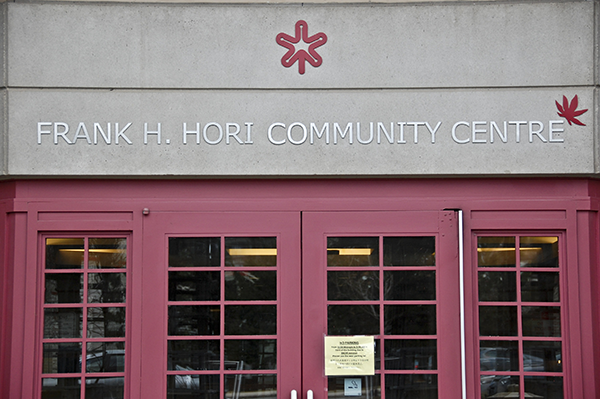 In 2014, the Community Centre was renamed the Frank H. Hori Community Centre in recognition of a generous $500,000 donation made by the Frank H. Hori Foundation to help fund the necessary renovations and repairs to ensure the Centre’s beauty, quality and safety over the next 20 years. Since its inception in 1992, the Community Centre has offered Momiji tenants, their family and friends, as well as the broader community, opportunities to participate in Japanese heritage courses and educational programs. The Community Centre also acts as the hub for several annual special events held by the Japanese community. The Frank H. Hori Community Centre also houses an auditorium, light-filled atrium, craft room, day lounge, private dining room, and outdoor Japanese garden for the convenience and enjoyment of the Momiji community and the general public. For general inquires contact our Administrative Assistance at 416.261.6683 x 221. 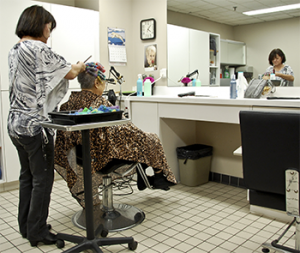 The Momiji Hair Salon is located on the first floor of the Community Centre and is open three days a week for Momiji tenants and the general public. To make an appointment, call 416.261.6683 x 230. For the convenience of the tenants, the Momiji store sells commonly used Japanese food items and products. The Store is open Tuesdays and Thursdays from 10:00am to 3:00pm. 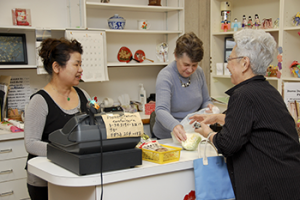 The Store is 100% volunteer-operated and 100% of profit from sales goes to benefit Momiji programs and services. To contact the store call 416.261.6683 x 245. Zero Sun is a full-service Japanese restaurant located at 3555 Kingston Road on the second floor. The restaurant is open to the public for lunch and dinner six days per week and closed on Wednesdays. To make reservations call 416.269.0303. 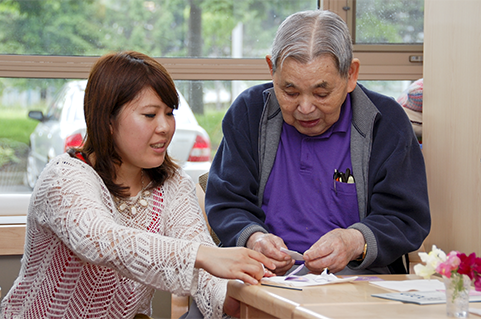 Zero Sun also provides Momiji tenants with a special Japanese Meal Plan that is subsidized by Momiji Health Care Society. The Meal Plan is offered for lunch and dinner on Mondays, Tuesdays, Thursdays and Fridays, plus for dinners on Saturdays and Sundays. The menu is rotated monthly and individual meals can be altered to accommodate special dietary needs, such as food allergies and low sodium diets.